An unfortunate reality of the world we live in is how common it is to be injured in a slip-and-fall accident on someone else’s property. You could miss a step on poorly maintained stairs in a lounge in Bellbrook, slip on a wet floor at a grocery store in Tipp City, or land hard after being tripped by torn or uneven carpet at a showroom in Dayton. Older adults and young children are especially at risk for falls, although no one is immune from them. This situation is compounded by the fact that slip-and-fall accident claims, and premises liability cases in general, can be challenging when it comes to proving fault. A maze of laws related to the responsibility of the plaintiff (injured party) and the defendant (property owner or manager) makes navigating such cases challenging. It can be difficult to make blanket recommendations for slip-and-fall cases – each one is truly unique. The law firm of Elk & Elk has successfully litigated personal injury cases, including premises liability, for decades. This experience gives us an astonishingly deep portfolio of strategies to employ when representing you in your slip-and-fall claim. We won’t shy away from the work it takes to win a settlement or award in court. We represent injured people across the state and have obtained numerous six-figure and higher settlements in Ohio for our clients. One thing you won’t see on Ohio lists is a fall hazard created by ice or snow outside of a property. If you fall on a slippery sidewalk outside of a neighbor’s house in Dayton, Ohio case law does not obligate the homeowner to remove natural accumulations of snow or ice. While most commercial property owners attempt to remove snow and ice from their parking lots, the courts will sometimes still rely on rulings related to homeowners. This can make it difficult to press for damages in situations involving commercial properties. 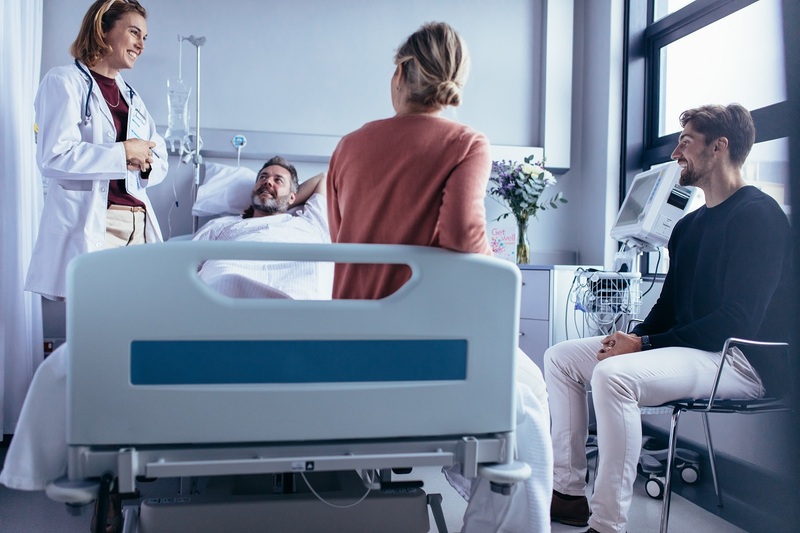 Getting immediate medical treatment after a fall is crucial to both your well-being and any legal actions resulting from the incident. Some injuries can worsen over time if left untreated. Also, the longer you wait after a fall injury to see the doctor, the harder it may be to establish that the fall was the cause of your injuries. Who is responsible for the fall? Determining responsibility or fault in a slip-and-fall case is often more involved than other types of personal injury. Because the hazard that causes the fall could be a long-standing problem or something that occurs literally seconds before the incident, there are nuances in the property owner’s duty to an accident victim that aren’t present for other types of injuries. The owner or an employee created or caused the hazard. The owner or an employee should have known the danger existed prior to the accident. The owner or an employee did know about the dangerous condition but did nothing to resolve it prior to the accident. Another concept that applies mainly to premises liability cases is the level of duty that owners owe to different types of people who visit their properties. Invitees are on the property for the property owner’s benefit. People in this category could include clients or customers. Licensees are on the property for their own benefit, with the owner’s permission. This could include a guest at a party held at someone’s home or a person entering a shop only to ask for directions. Trespassers enter a property without the owner’s permission. This could include those with ill intent (such as a burglar), but it could also include a teenager skateboarding in an empty below-ground swimming pool. Property owners owe the greatest duty of care to invitees. They must ensure that steps have been taken to keep the property reasonably safe and to warn invitees of any hard-to-spot hazards. Licensees and trespassers are owed a far lower duty of care. In the case of trespassers, owners cannot introduce hazards intended to harm the trespassers but do not have to warn them of naturally occurring hazards. Open and obvious or hidden and negligent? Another hurdle to prevailing in a slip-and-fall claim in Ohio is the use of the “open and obvious” defense. Judges have consistently ruled that if a hazard is clearly present and visible to a person entering the property, this removes the property owner’s duty to warn about it. An example of this might be a giant sinkhole in a merchant’s parking lot. The idea is that if you are paying attention, you should see it without a warning from the owner. On the other hand, if you were distracted by activities on the property – like an outdoor clearance sale with prize drawings happening right next to the sinkhole – you may have a case if you fell in and suffered an injury. Despite the difficulty that the open and obvious defense presents to slip-and-fall victims, it is not an invitation for property owners to be sloppy or deceptive. They cannot leave the property poorly maintained or hide serious hazards without warning invitees on the site. Settlements in personal injury cases rarely come directly from the business or individual at fault. Frequently, the at-fault party’s insurance company pays the claim. Because of this, it’s essential to have an attorney at your side for handling insurance company communications. The job of the defendant’s insurance company and its legal team is to provide you with as little compensation for your injuries as possible. The insurance company for the other side knows you are hurting, may not be able to work and may not be sure of the value of your losses. Our attorneys will assert your rights during negotiations. If an acceptable settlement cannot be found out of court, the insurers are on notice by the presence of our lawyers that you may choose to sue for compensation. Don’t talk to the property owner or the owner’s insurance company without consulting a lawyer. Elk & Elk’s lawyers are especially knowledgeable about the nuances that accident-based lawsuits can present. 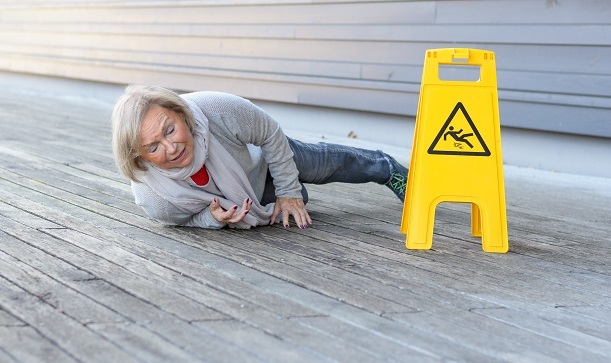 We take on tough cases, including slip-and-fall claims. Our legal team can evaluate the evidence in your case and provide effective representation and strategies. To arrange a free initial consultation, call 1-800-ELK-OHIO or email us.